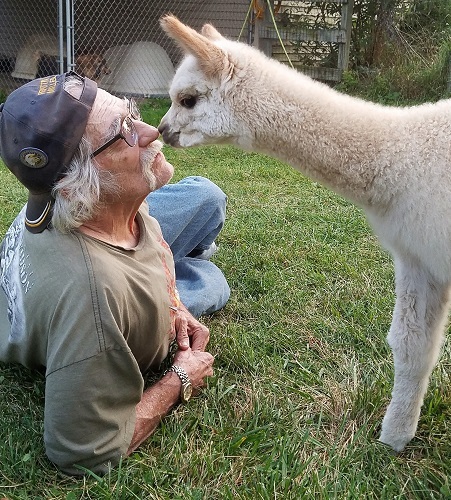 Magi is a farm favorite with truly elite full Peruvian bloodlines. His dam was our foundation black huacaya Zahara purchased from Anthony Stachowski at a live auction. The daughter of two imports, - she was voted best huacaya in the auction by the bidders attending, and she didn't sell cheap! Zahara's sire was the renowned 4Peruvian Black Magic imported by Dr. Stachowski from the Sollocota region of Peru. 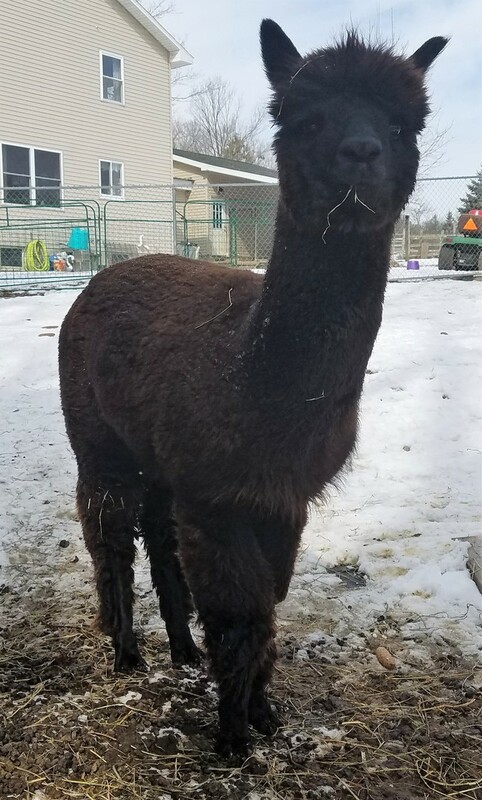 Petunia is sired by Midnight Magic’s Mystery, the ultrafine true black son of Snowmass Midnight Magic. Mystery’s dam was sired by Jericho 69i, the Supreme Canadian Black Champion Stud brought to the U.S. for the Snowmass black breeding program. 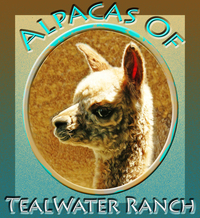 If you know about elite fleeced alpacas then you know Snowmass for world-record-setting genetics. 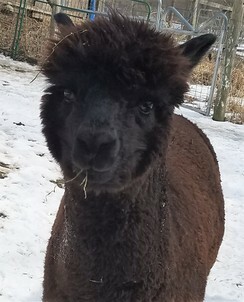 Jemini is the second true black cria born of Sweet Petunia (sold), and the first sired by Tealwater Magi O'Camelot, a product of Stachowski Alpacas line of imports. His dam carries Snowmass Black genetics which explains why Jemini exhibits rich, soft crimpy black fine fleece, as would be expected from the pairing of these bloodlines and the quality of his parents. This boy could be shown this year. He was born at another farm and came to us at just a year old, and has adapted well to being part of a yearling group of males on our farm. He has a delightfully curious face.